Exercise your options at The Ranch! Choose from our state of the art fitness floor which is always staffed to provide friendly service, or the dynamic and motivating environment of group fitness. Perhaps you are seeking personal guidance on your fitness journey; we have a highly credentialed team of Personal Trainers to assist you. We offer options and provide an environment that welcomes everyone and supports success. Three group fitness rooms including a spacious 1,200 square foot studio, functional training room and cycle studio. Our comprehensive programming includes the latest fitness trends along with restorative wellness options. At The Ranch Fitness Center & Spa members experience an intimidation-free zone and receive individualized attention. Each new member receives up to three complimentary Fitness Center orientations with a personal trainer. During these three sessions the personal trainer will assess your current fitness level, prescribe a workout specific to your needs and assist with execution. Your Personal Orientation awaits you! 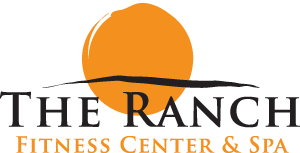 The Ranch Fitness Center is committed to providing personal training programs that educate and motivate individuals to achieve their fitness goals. Personalized instruction and guidance will enhance success and quality of life. Personal training is personal! Everybody has unique needs and goals. Our fitness professionals possess nationally accredited certifications that enable them to design a program that is specific to you. Personal training will ensure that your exercise prescription is safe and effective. 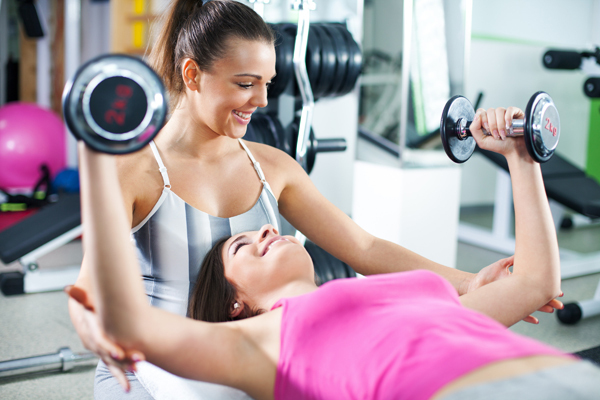 Enhance your results with the guidance of our personal trainers. This session is one full hour of individualized personal training. This comprehensive approach will help ensure that you meet your fitness goals. This session is thirty minutes of individualized personal training. This option provides flexibility for tight schedules as well as exercise programming; choose short intense workouts or a gentler approach with reduced duration. This session is one full hour of training for 2, 3, or 4 individuals. Designed to match similar fitness needs and goals, you will gain the benefit of a social atmosphere and increase the element of commitment and fun in your personal training workouts.